Dan Wernikoff, who leads the small business arm of software maker Intuit, thinks Silicon Valleys can learn a lot from boy bands. Yes, that’s right: One Direction and the Backstreet Boys. Boy bands, he says, appeal to the masses — and so too should software. “Sometimes it looks like boy bands just emerge suddenly, but the reality is boy bands are highly-engineered and rigorously tested with users,” Wernikoff says. Instead of using a lab, music industry managers test boy bands at the local mall in front of screaming adolescents. It’s a blueprint that Wernikoff follows with Intuit’s small business operations, which accounts for half of the company’s annual revenue. He emphasizes getting customer feedback in developing new products and then tweaking them. Intuit, which built a huge business by selling accounting software, is having to adjust to stay relevant in a quickly shifting industry. Desktop software is rapidly becoming obsolete in favor of mobile devices and the online services in which data is saved in what’s known as the cloud. Furthermore, Intuit (INTU) faces challengers on many fronts. In tax software, it competes against H&R Block (HRB) and TaxAct, among others. Still, Intuit remains the industry leader. Last year, it handled 29 million tax returns versus around 7 million for its competitors. Earlier this month, Intuit suffered a black eye when Minnesota tax officials discovered fraudulent tax returns filed by fraudsters using its TurboTax software. The company had to temporarily block users across the country from submitting state tax filings and then scramble to add additional security measures. The trouble lasted less than 24 hours. But the incident and its timing in the midst of the busy tax filing season may make customers think twice about using TurboTax in the future. Wernikoff, 43, leads a huge swath of Intuit’s business including QuickBooks Online, Payments and Intuit Partner that is responsible for $2.2 billion in revenue last year. He manages 5,000 employees with the goal of making life easier for small business owners. “What we’re trying to do is enable them to be successful as a business,” he says. Wernikoff, a 12-year Intuit veteran, says the types of businesses he’s working with these days is rapidly changing. Many more companies are using “on-demand workers,” such as drivers for car hailing services Ubers and Lyft. Last month, Intuit partnered with Uber to provide the company’s drivers – who are independent contractors – a pared down version of QuickBooks Online. Intuit sells the software to the drivers directly. The version for on-demand workers doesn’t have all the bells and whistles that a small business with 20 employees would require. Since introducing a test version of the service in the fall, Intuit says that those on-demand users have entered $50 million in expenses. “We’re thinking about how we can support those newer, emerging businesses,” says Wernikoff. 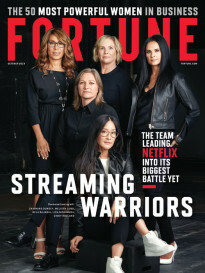 At the same time, his company must balance its innovation with the reality that many of Intuit’s small business customers – particularly those who use early versions of QuickBooks desktop software – are resistant to change. New features are important, Wernikoff says, but it’s critical to keep the original base of customers happy, too. “That shift is letting us do different things that we’ve ever done before,” he says. Then there’s Intuit’s global expansion. It has footprints in four countries, with an acquisition of a Brazilian startup in January being the latest. But where the company’s first crop of consumers may be change averse, Wernikoff lives for it and thinks others in Silicon Valley should be open to pop culture. 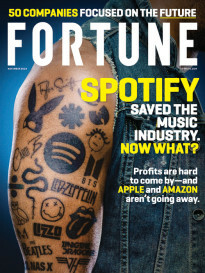 He believes inspiration from the long running singing show American Idol, which creates a ready market of fans willing to buy the contestants’ music, is exactly what the industry needs..
“That’s a lot of change,” says Wernikoff for Intuit’s customers as well. But at least he’ll have boy bands, American Idol and the Kardashians to look to for answers.